Every autumn semester, the University Board gathers for an overnight conference. The idea is to give ourselves a chance to discuss some issues in greater depth than we have time for at the ordinary meetings. We kicked off our discussions on Wednesday afternoon with a look at international ranking lists and our thinking about them to date. To begin with, we noted that while many at the University are critical towards the lists, they are relevant. In particular, we see the influence the lists have in the international arena – in recruiting international students, certain grant programmes and their impact when recruiting researchers. We focus on three lists: Shanghai, the Times Higher Education Supplement and QS. The University Board was unanimous about not letting the lists determine our priorities, but also about the importance of continued systematic reporting of data and analysis. Read more about rankings here. The next point of discussion was our Mission and Core Values. The University Board has tasked me, as Vice-Chancellor, with revising this document and I have appointed Deputy Vice-Chancellor Anders Malmberg as project manager. He reported on all the meetings he has had with the senior officials in the disciplinary domains, advisory boards and students at the University. The University Board wants the Mission and Core Values to be a more precise, sharper and more dynamic document. The most important message was that it must be usable and applicable at all levels of the University. The autumn conference has its own traditions. One standard feature is a presentation of the year’s Nobel prizes by University researchers. This year Associate Senior Lecturer Johan Chau Söderström talked about the physics prize, Professor Mikael Widersten talked about the chemistry prize, Professor Peter Fredriksson talked about the economics prize and Professor Gunilla Enblad talked about the medicine prize. It was fascinating – a much appreciated part of the programme. On the second day, we had the ordinary meeting. In my report, I told the Board about the Internationalisation Inquiry, which delivered its final report at the end of October. There was great interest and we will return to this topic at a later meeting. We also had a report from the working group on revision of the rules of procedure. This project is divided into several parts. The first part, which addresses terms of office, the appointment of the vice-chancellor, selection of heads of department, etc., has been referred to various bodies in the University for comments. A decision will be made at either the December or the January meeting. The group is continuing its work and further parts of the project will be circulated for comments during the spring. Deputy University Director Kay Svensson and Oscar Petersson from the Planning Division then gave the University Board an overview of the international networks in which the University participates and a status report on the European Universities application. We also chose two Oscar Prize winners and one recipient of the Torgny Segerstedt Medal. You will be able to read more about this on the University’s website. To end the second day, University Director Katarina Bjelke described ongoing work in the University Administration to provide coordinated support for education and research. The new budget bill was presented on Thursday afternoon. In the absence of a new government, much remains unclear. 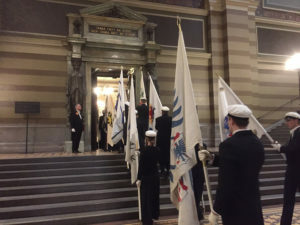 As far as Uppsala University is concerned, one consequence is that we will receive SEK 20 million less for research and SEK 20 million less for education than expected. This is mainly because the resources for the research bill and targeted initiatives in education have not yet been included. But we are not worried. This will not affect our activities in 2019. We also know that there is broad consensus among the parties on an increase in direct government funding and targeted initiatives in education. We expect the details in these areas to become clear later when a new government is in place. On Friday morning, we had a visit from Åbo Akademi University. We have a long tradition of cooperation, which we are keen to develop further. Today’s programme included talks with representatives of the teacher education programme, peace and conflict research and the Baltic University Programme. We look forward to continued cooperation. The party from Åbo Akademi University is here at just the right time for the highlight of the week and perhaps of the semester. This Friday it’s time for our inauguration of professors. 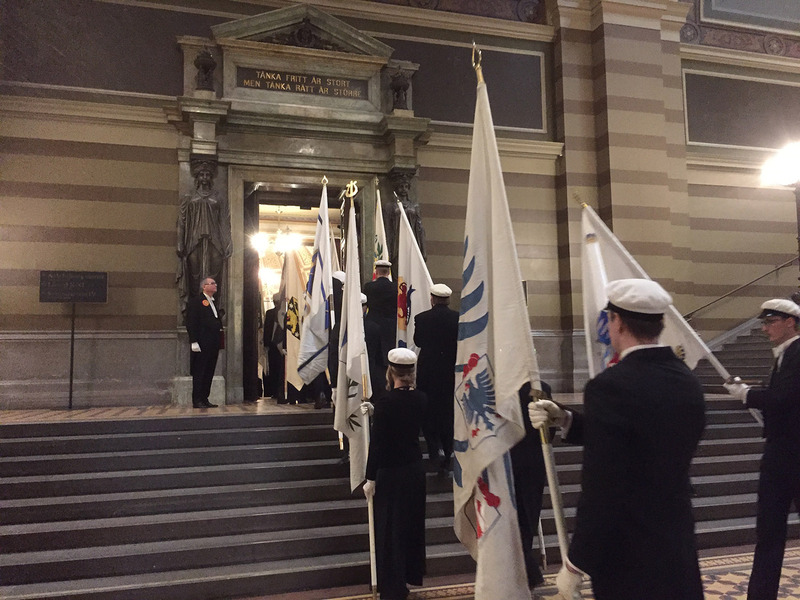 In this year’s ceremony, we will inaugurate 45 new professors, as well as presenting the Distinguished Teaching Awards and the Uppsala University Innovation Prize ‘Hjärnäpplet’. The inauguration of professors is always an enjoyable and impressive occasion. 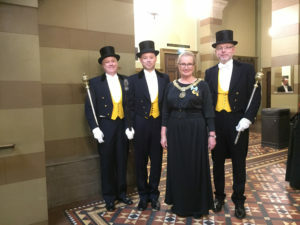 Evening wear, long dresses, the Royal Academic Orchestra, banners and the traditional procession create a special Uppsala atmosphere. 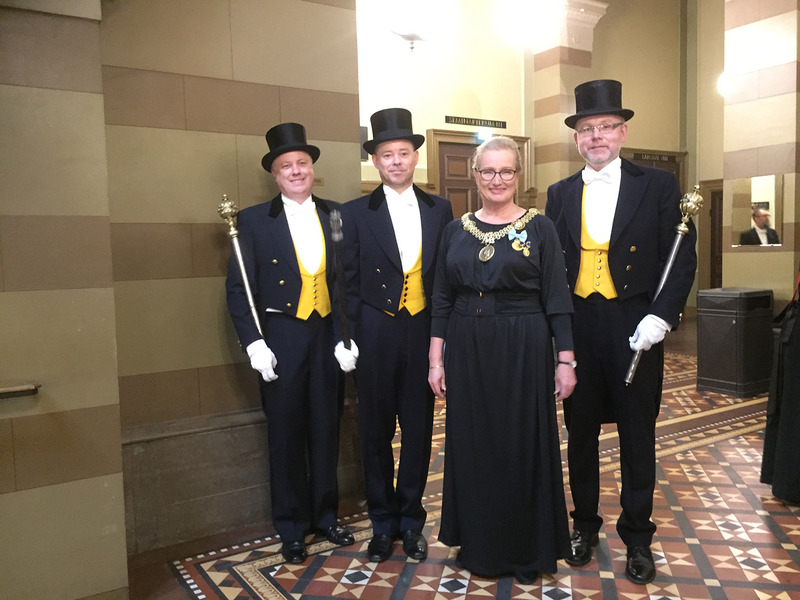 For me personally, the ceremony also means a chance to give my traditional speech congratulating the prizewinners, giving the University’s perspective on what the inauguration means and what we expect of our new professors, but above all, welcoming them in their new role at our splendid University.